State Farm and Autotrader stated publicly last week that they would no longer advertise on the show. 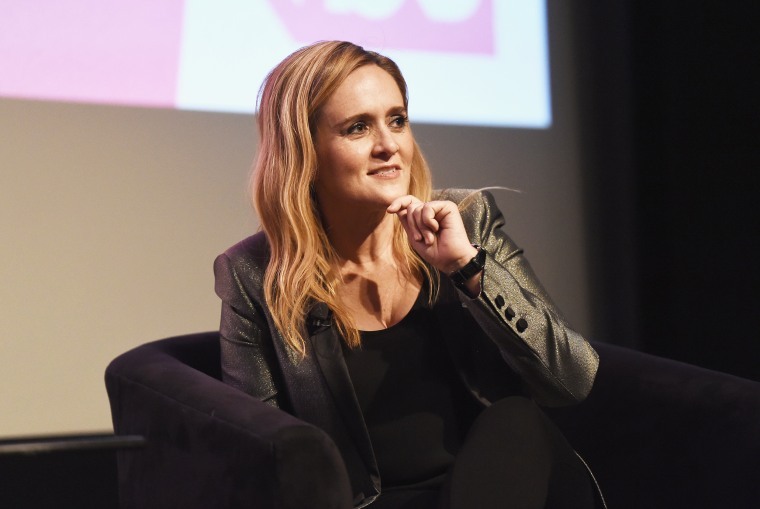 Samantha Bee returned to her TBS show "Full Frontal" on Wednesday night, but with significantly fewer advertisers following a scandal around her use of crude language toward Ivanka Trump. Bee apologized the day after making the remark, calling it "inexcusable." The weekly comedy show had just a handful of advertisers during the broadcast, including premium TV service Epix, movie advertiser Warner Bros., PlayStation 4 and Universal Pictures, according to measurement firm iSpot.tv. (Universal Pictures is a unit of NBCUniversal, the parent company of NBC News.) The network also ran promotional spots for its own shows and for sister channel TNT. The previous week's episode — which aired on May 30 and included a segment in which Bee used a vulgar slur to describe Trump — carried 17 commercials, with advertisers such as Taco Bell, Geico, Jim Beam, State Farm and others. Last week, State Farm and Autotrader stated publicly that they would no longer advertise on the show. Advertisers have shown a growing willingness to pull ads from shows that spark public criticism. Fox News host Sean Hannity lost advertisers after a liberal activist group targeted him over his coverage of Alabama Senate candidate Roy Moore. Numerous advertisers pulled their ads from Laura Ingraham's show on Fox News after she mocked Parkland, Florida, shooting survivor David Hogg. Bee has hosted "Full Frontal" since February 2016 and has been a vocal critic of President Donald Trump and his administration. CORRECTION (June 7, 2018,5:15 p.m. ET): A previous version of this article misstated one of the companies that stopped advertising on Samantha Bee's show. The company is State Farm, not Allstate.